Berlin, May 13 - In its eighth edition, the startup magazine, the Hundert, presents 100 successful female founders from 40 European countries. Highlighting the accute richness and diversity of the founding stories, the magazine wishes to inspire many women to build their own companies. The new edition will be released Monday, May 16. The startup scene is predominantly male, leaving female founders to stand in the shadows. The European Startup Monit0r states that less than 15 percent of the European startups are founded by women. 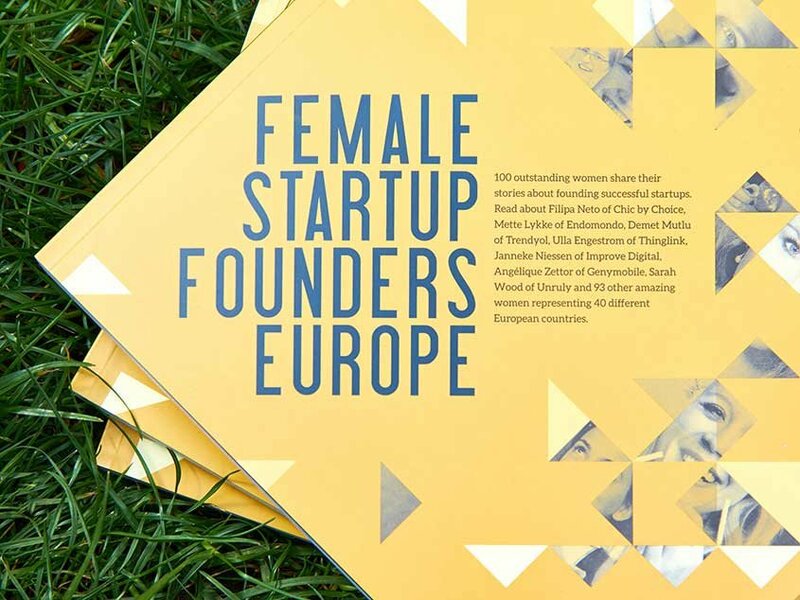 The team of the Hundert finds this unacceptable, wants to change it and directs the spotlight on 100 inspiring women, whose diverse founding stories reflect the spirit of the present generation of female startup founders in Europe. With their different motivations and stories, these 100 ladies are role model and inspiration to all women, considering starting their own company. “The ability to change the world is a mindset that starts from looking into the mirror and saying, ‘I can’.”, as Karol Hindriks, founder of Jobbatical, puts it. Among the featured founders are first-time and serial entrepreneurs, career changers who encountered a problem, which they are determined to find a solution to, and women who have been dreaming about creating their own business since childhood. Jenny Wolfram, who, as a five-year old, for example, sold handmade facial creams to her neighbors, founded one of the most promising Finnish enterprises about 20 years later: BrandBastion secures brand’s reputations on social media channels. Anna Alex from Germany took a quite different path to entrepreneurship: During a trip to New York, she developed the idea of a personal shopping service for men together with her future co-founder. This was the beginning of Outfittery. Nora Khaldi from Ireland, in turn, left her safe and successful science career at university intending to share her knowledge in biotechnology. She founded Nuritas, the first company in the world to introduce artificial intelligence to the food arena in order to discover new disease-beating molecules from food. The magazine will be presented at an exclusive release party on Friday, May 13, at the House of Weekend in Berlin. Around 300 guests from the European startup scene are expected to attend. the Hundert has a run of 10,000 copies and is available for free at events, in co-working spaces and will be distributed to numerous partners throughout Europe. The magazine can be downloaded on www.the-hundert.com for free, starting May 16.
the Hundert Vol. 8 was realized with the support of three sponsors: KPMG, Weberbank and lindenpartners. Startups of Berlin - The Hundert Vol. 10 is out now! The startup magazine “The Hundert” publishes its 10. edition, creating a powerful visual expression by introducing the 100 most exciting startups of the German capital in one magazine. The Berlin-based startup project “the Hundert” creates a powerful visual expression of the tech scene in New York by introducing the 100 most exciting startups of the metropolis in one magazine. 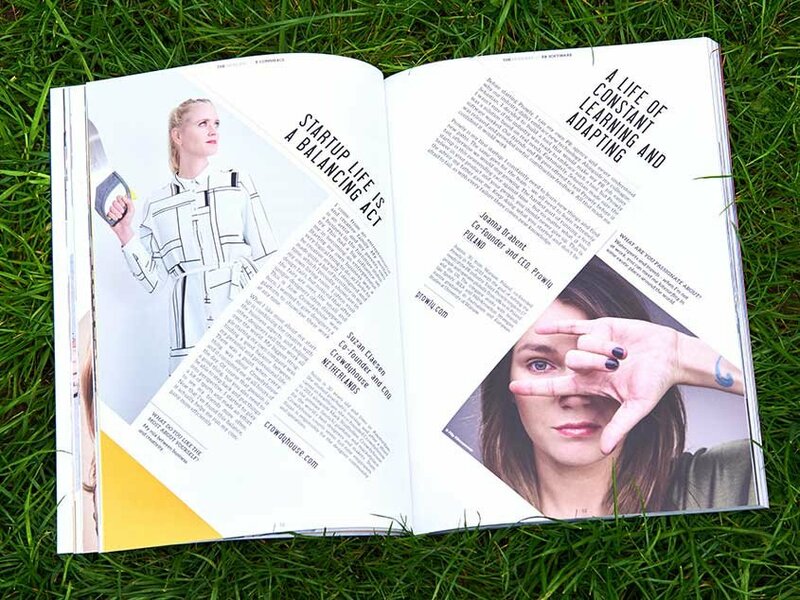 In its eighth edition, the startup magazine, the Hundert, presents 100 successful female founders from 40 European countries. Highlighting the accute richness and diversity of the founding stories, the magazine wishes to inspire many women to build their own companies. The new edition will be released Monday, May 16.